One of the best songwriters, singers and a great actress, Taylor Swift had something new to share with the kids, teens and her fans too. She is on tours to promote her 5th album and that’s why she’s traveling a lot. Just on Tuesday night she was with many public students in New York City and sharing her thoughts with them. In addition to the students that were with her there, some were online from Skype, listening to the great artist live and seeing her. The children on skype were from California and Michigan. Swift is one of the best songwriters of her age and many of the accolades that she has received are because of what she’s achieved and done at such a little age. 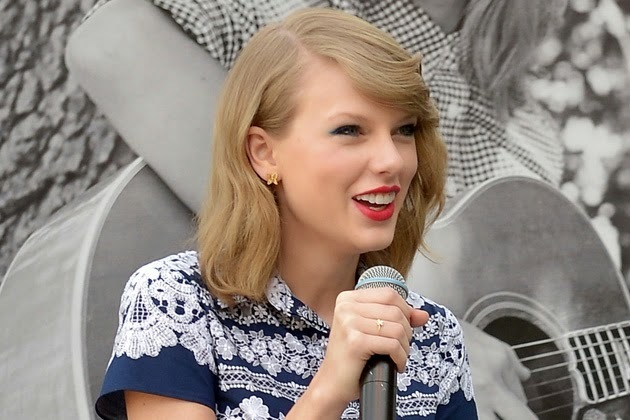 While she’s known for her mature songwriting, she revealed to the students that she loves writing and reading too. In fact, she is so fond of writing that she never wants to let go of this passion ever. It must be mentioned here that she is already a writer of a 400-page book, which she had written when she was just 13. However, this tale of her life, friends and family remains unpublished to date. She mentioned while talking to the kids of the schools that she finds most interest in writing lyrics for music. However, she always wants to explore other ways of writing because it’s writing that she loves mainly. She also said that there is a possibility of her ending up writing a book. As she continued to talk to the students around her a continuous video was made. This video has been made available online too. The students who were online through Skype also showed their love for the star. The children sitting and enjoying with her in New York told her about many books that she could find interest in. Taylor thinks that these recommendations will be very helpful for her since she hasn’t been able to focus on her reading and writing habits since the beginning of the tours for her new album. Taylor Swift had a great time with the students and she talked to them all without any hesitation on her interests and what she wants the students to do in their futures. Taylor ended up the session with an amazing gesture that some part of the money she makes from her single, called welcome to New York, to the public schools located in the region of New York City.